Change the pitch or speed of any song on your Mac. Now you can slow down MP3s without changing the pitch, or lower the key of a song into your range without changing the speed! It`s amazing what Pitch Switch can do. A must have tool for musicians! 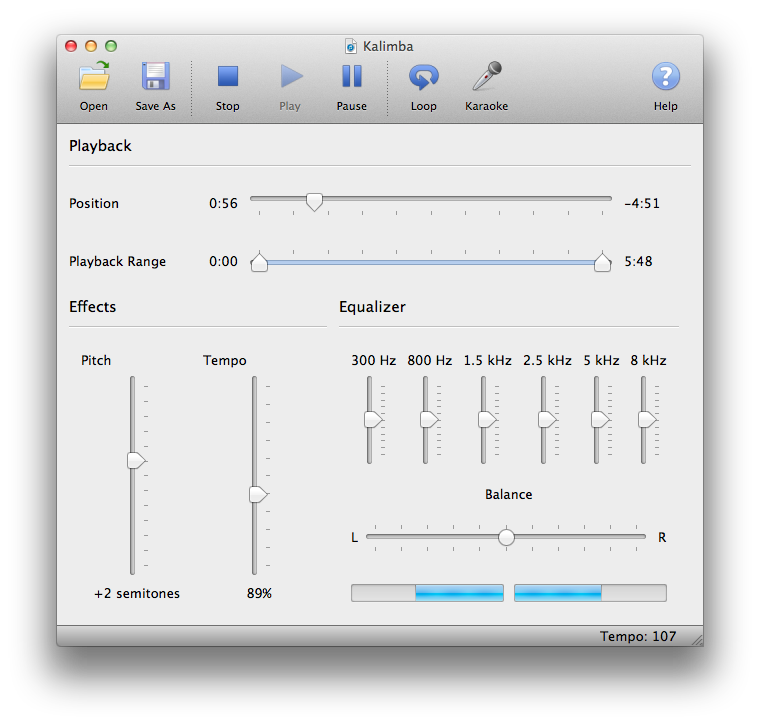 Slow down music without changing the sound on OSX with Pitch Switch for Mac! It`s fast and easy to use. Just open any music file and use the "Pitch" and "Tempo" sliders to independently vary the speed and key of your song. Pitch Switch works with MP3s, WAVs, Audio CDs and more. Like magic, Pitch Switch slows down and speeds up your song while it plays...right before your ears! Download a free trial of Pitch Switch today and try it for yourself. One-way converting from MP3 to WMA format at high converting speed! Boilsoft IPOD Video Converter, convert IPOD MP4 to AVI, MPEG, VCD, SVCD, DVD, 3GP, PSP MP4, MP4 format and to your iPod, iPhone, iTouch, PSP, PS3 and other digital devices. Supports batch conversion. Support watermark and subtitle adding.